So, it would appear that the last week was the biggie on an absolute and relative scale -- drawing 16,280 Russian pageviews out of 20,081 for the entire month and moving Russia to the first spot for the last week. I wonder if this is related in any way to the reports that Russia -- perhaps orchestrated by Putin -- hacked the Democratic National Committee emails. And beyond the political interest, I suppose it could involve politics in Russia. It has been reported as a result of the Panama Papers that friends of Putin have done well in the Russia economy and have hidden much of their wealth offshore (offshore by reference to Russia). I thought neither of those revelations particularly noteworthy and thus did not spend much time on it. Perhaps that is the issue. 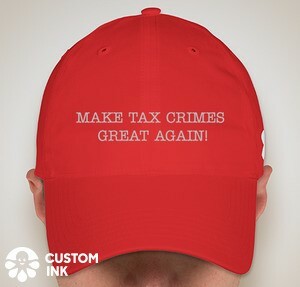 Now, as the title to this blog suggests, I don't know whether viewers in Russia are interested in U.S. Federal tax crimes generally or in my rather boring presentation of anecdotes related to federal tax crimes in this Federal Tax Crimes Blog. Now, as to which FTCB pages they may have been looking at, I am not aware of whether there is a way to tell. I did note that, for the past week, the leading page visited was Comments by IRS Personnel on New Streamlined and OVDP Procedures (Federal Tax Crimes Blog 6/21/14), here, but that page only got 877 pageviews. I don't see any correlation there, but I really have not tried to dig into that issue. Now, from the statistics and other facts or fact substitutes above, I will now put on my Republican hat and draw some speculations (which I will try to identify). I speculate that the uptick in hits (an apt word) from Russia is at Putin's direction. I suspect that Putin's directions are based on his desire to help Trump. And, I speculate that if questioned specifically about that giving those directions, he will deny it. And, from that denial, I infer that he is a liar.